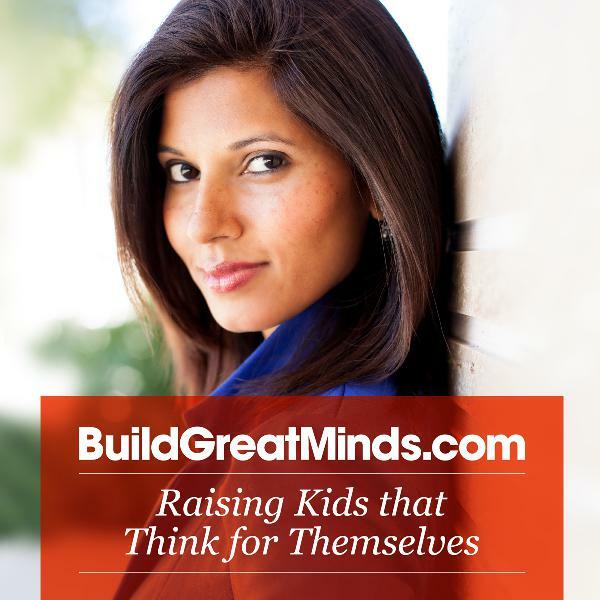 Conscious Parenting For Confident & Successful Kids // Similar to Focus on the Family, Parental Guidance, TEDTalks | Listen Free on Castbox. There are many toys that build IQ and many that build CQ (Creative Intelligence). Why is it so crucial for parents to introduce their kids to toys that build EQ? Listen to my interview on the Jennifer Campbell show why toys that build Emotional Intelligence will prepare your kids for their best life now and […]The post BGM 018: Why it’s so important to have an EQ Toy now more than ever appeared first on BuildGreatMinds.com. Jennifer Campbell from the Jennifer Campbell Radio Show interviewed me recently on the Spanking. If you’ve ever felt, “Hey, I was spanked and I turned out ok”, then take a listen and find out why we need to get rid of this outdated practise. “ Click Here to Subscribe to the Podcast via […]The post BGM 017: Spanking appeared first on BuildGreatMinds.com. When kids have conflicts (friends and siblings) it can create such divides that parents feel like they are always stepping in and needing to resolve the issue and lead to some pretty unhappy kids. This can create tension on your adult friendships as both kids struggle to find a way through their conflict without whining […]The post BGM 016: Conflict appeared first on BuildGreatMinds.com. Do you apologize too much? Not enough? I rarely apologize anymore. Instead, I found something way more effective in my marriage and with my kids. This is the advanced way of saying I’m sorry. I know this is going to work much better for you to repair conflicts quickly. Click Here to Subscribe to the […]The post BGM 015: Saying Sorry appeared first on BuildGreatMinds.com. If you’ve ever wanted to change the entire family dynamic for the better, one of the surest ways to get there is holding Family Meetings. It’s a fun, engaging, effective way to create harmony between you and the kids, lower yours and your kids stress levels and create a connection with your kid/s that feels […]The post BGM 005:How to Run the Ultimate Family Meeting So There Are Less Arguments, No Tantrums and Incredible Love and Connection appeared first on BuildGreatMinds.com. In this short talk, I share a powerful way to handle situations where your child wants you (not needs you) and you are busy working on something important. It’s been one of the most effective tips I can offer for helping kids discover their own passion while you pursue yours. Click Here to Subscribe to […]The post BGM 004: How to Help Your Kids Find Their Passion appeared first on BuildGreatMinds.com. As parents we tend to resort to two modes of motivation. We get louder and louder till our kids do what we want/ask We use some version of reward or punishment, we bribe or threaten. Deep inside you know that this change in behaviour is momentary, there is no deep internal dialogue and understanding achieved, […]The post BGM 003: Why You’ve Been Motivating Your Kids The Wrong Way appeared first on BuildGreatMinds.com. I’m often asked by parents what exactly is EQ or Emotional Intelligence and why is it so important to my child’s success. In this podcast, if you are not quite sure what this means to you and your child, then I’m going to introduce you to this vital skill set that affects every meaningful aspect of […]The post BGM 002: What Is Emotional Intelligence (EQ) Anyway?? appeared first on BuildGreatMinds.com. BGM 002: What Is Emotional Intelligence (EQ) Anyway?? In this particular podcast episode you will learn: How to create deep trust and intimacy consistently Become a parent who can calm your kids down Get your kids to listen Have your kids share absolutely everything about their life openly and often, without boundaries Click Here to Subscribe to the Podcast via iTunes Click Here […]The post BGM 001: The Counter-Intuitive Way To Solve Challenging Situations appeared first on BuildGreatMinds.com. Kids whining or sounding victimized is something that is learned. Kids do it because they see that it works. In this episode Rhea teaches you the trick to raising kids who ask for what they want in a more useful and productive way… so your kids can powerfully create the life they want. Let us […]The post BGM 014: How to stop your kids from whining appeared first on BuildGreatMinds.com.